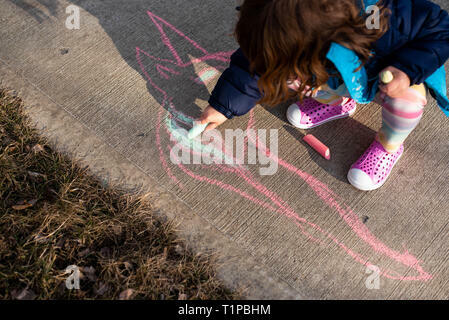 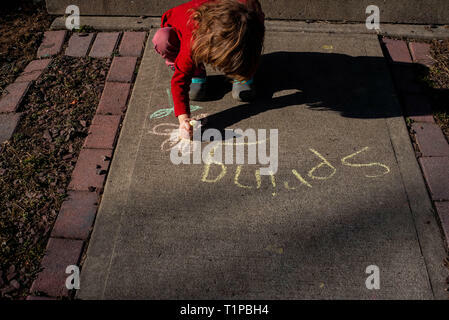 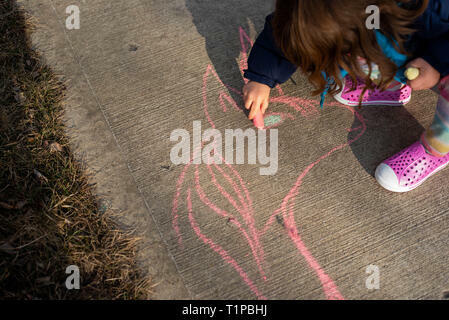 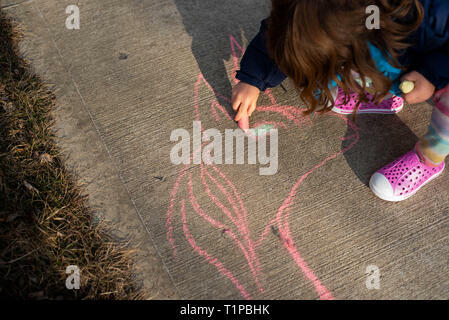 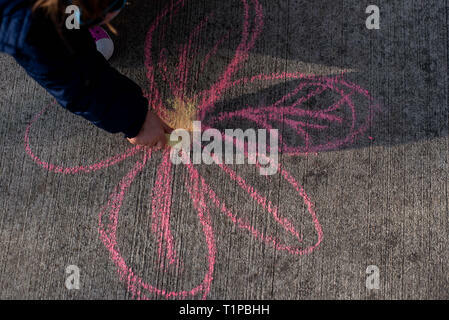 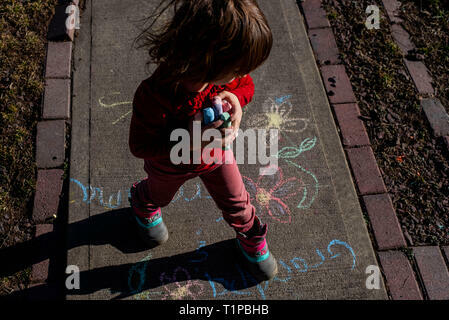 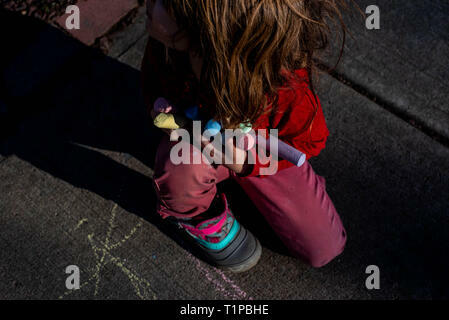 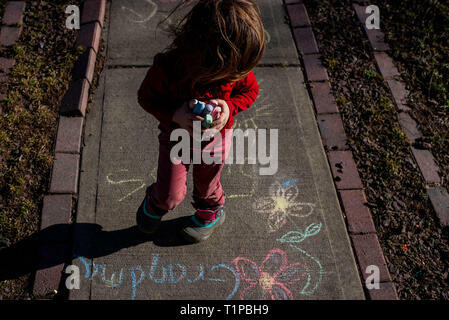 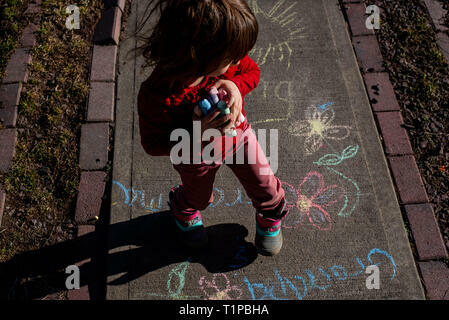 Looking down on a 4-year old girl holding sidewalk chalk on a sidewalk during the spring. 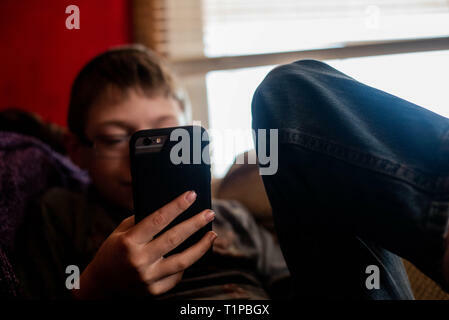 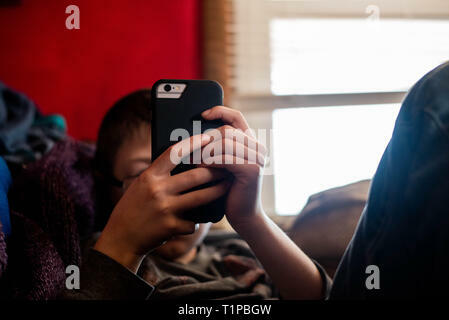 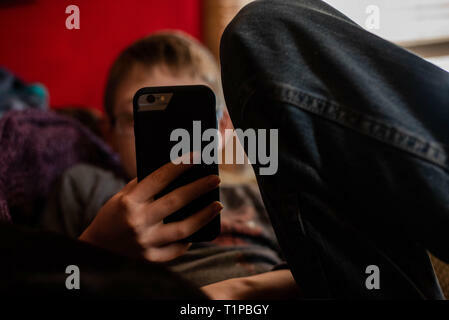 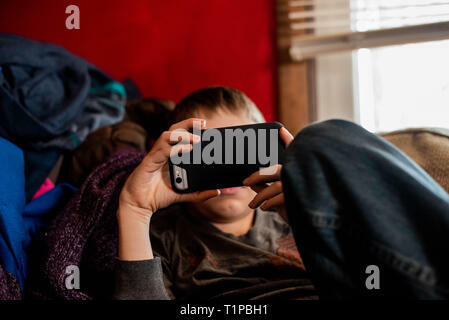 A preteen American boy holds a cellphone. 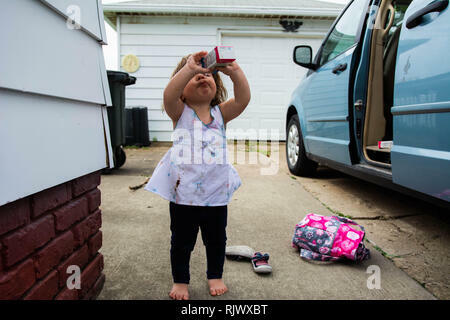 A 2-year old takes a drink from a juice box on a warm day outside a van with the door open. 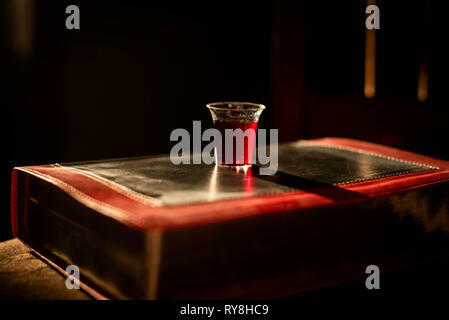 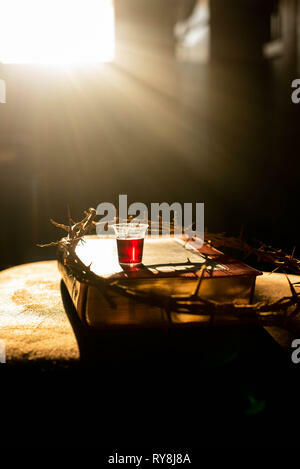 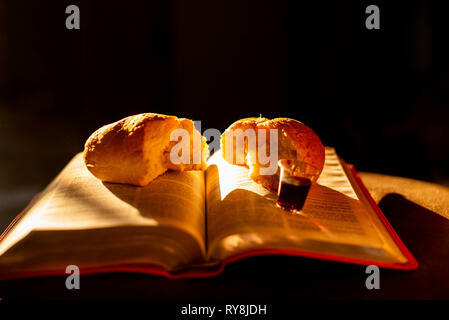 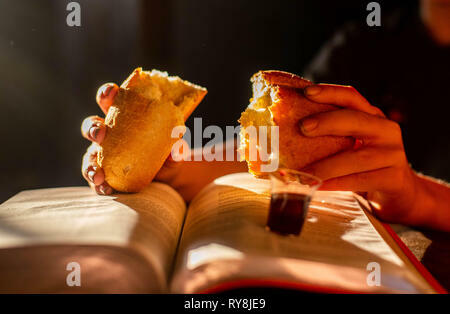 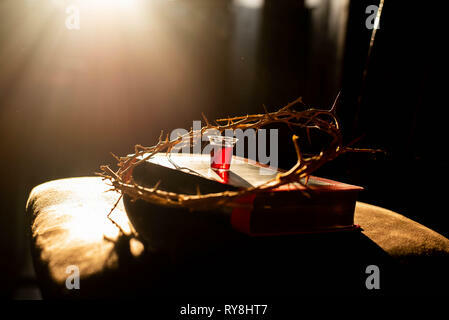 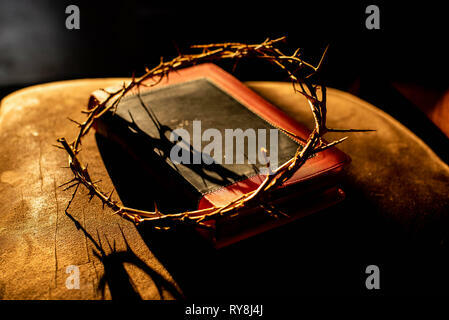 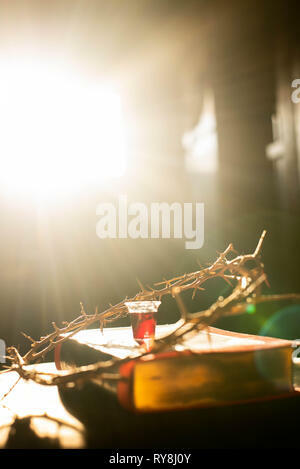 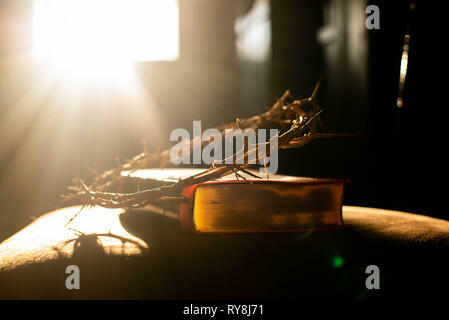 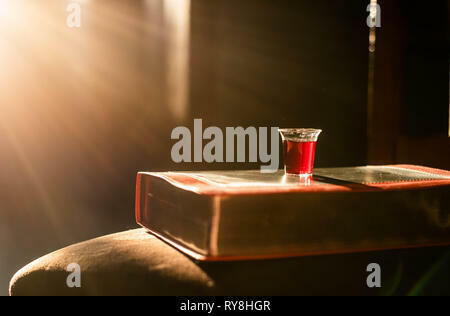 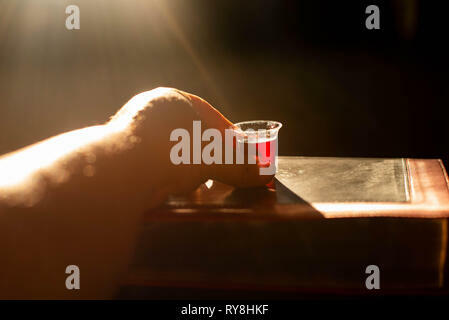 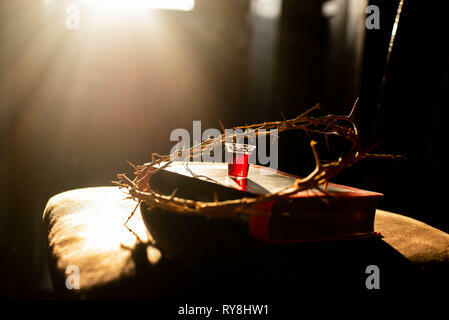 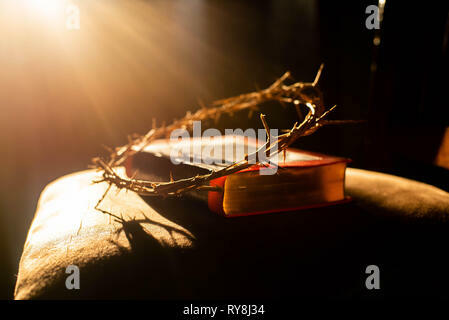 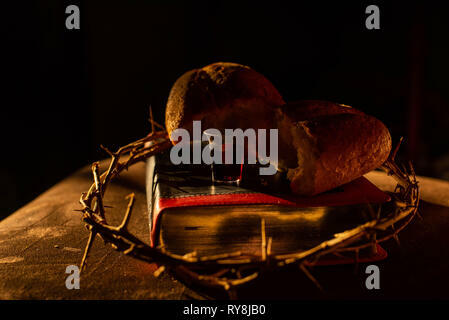 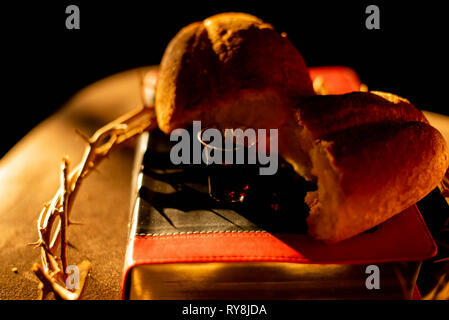 Sunlight hits a Christian Bible and a communion cup filled with grape juice and a crown of thorns representing Christ's crucifixion. 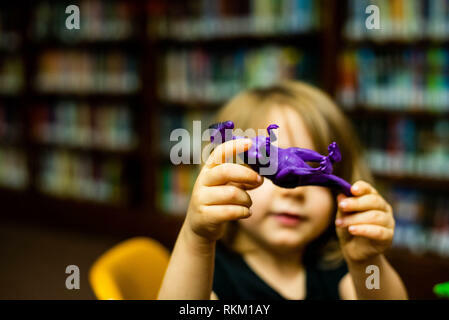 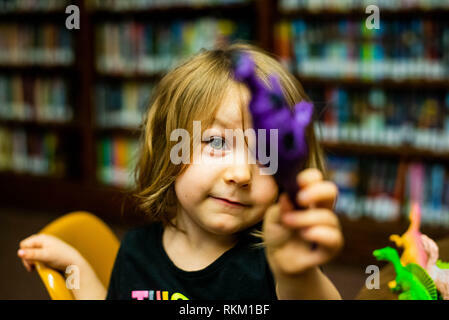 A 4-year old girl holds a dinosaur up for the camera while playing with toys at a library. 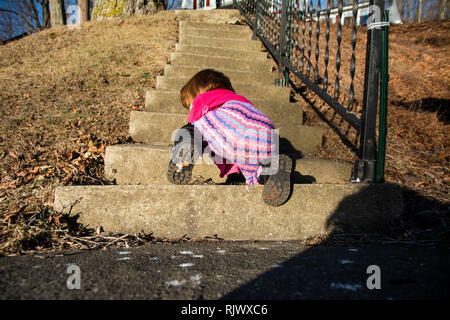 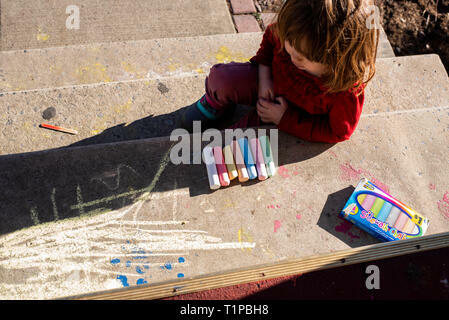 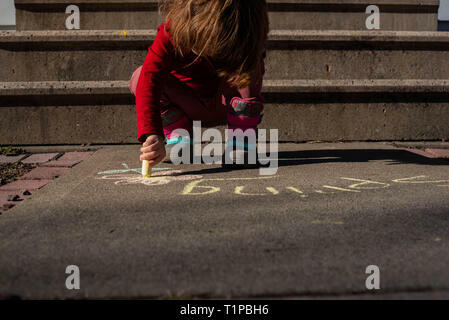 An infant girl crawls up a flight of stone stairs on a sunny day. 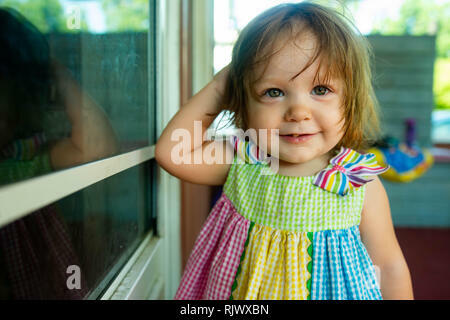 A toddler girl wearing a rainbow sun dress smiles at the camera in a close up photo. 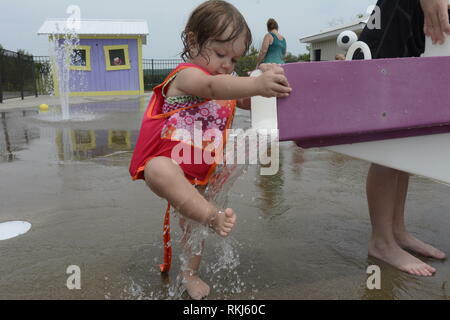 A toddler washes her feet in water at a splash pad during the summer. 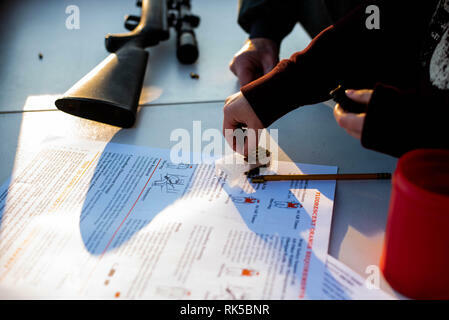 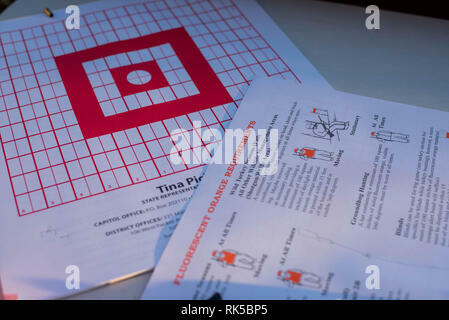 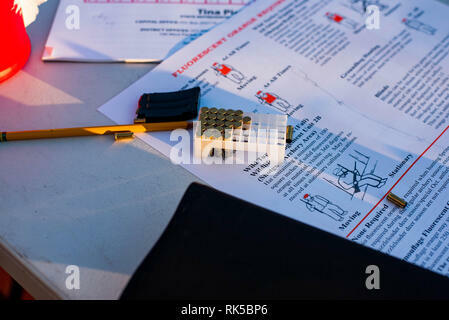 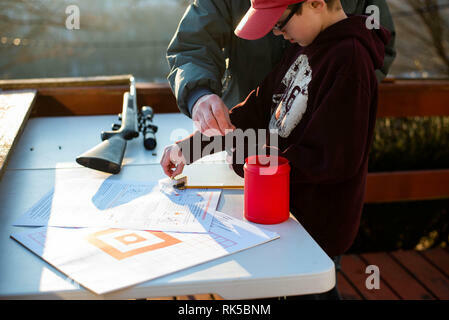 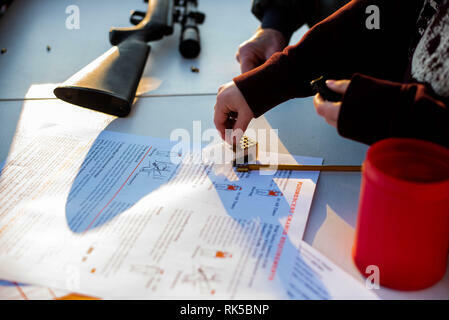 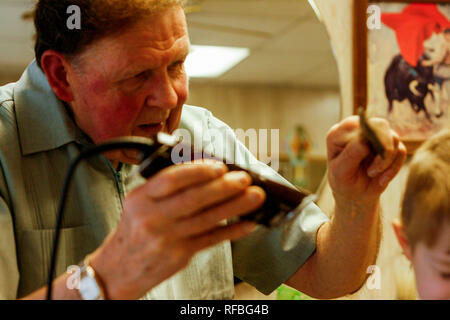 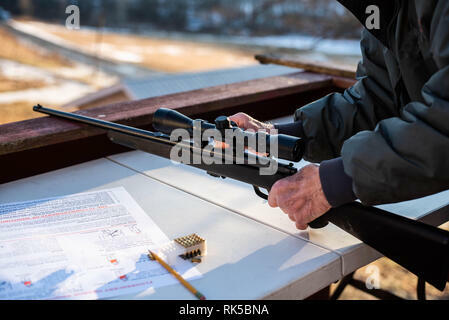 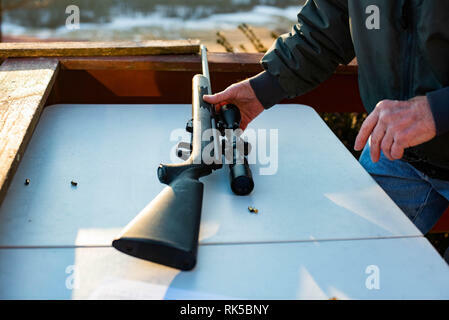 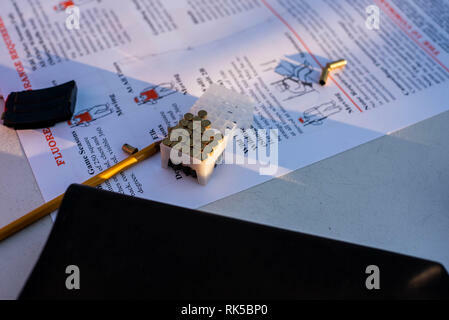 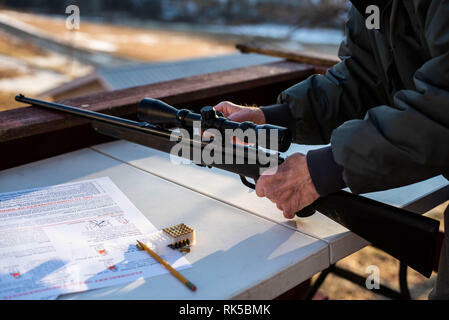 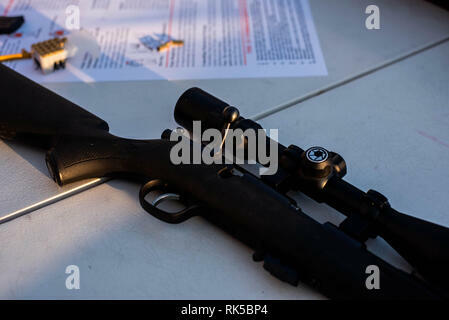 A 22 caliber rifle sits on a table while a young person learns about gun safety in Pennsylvania, United States. 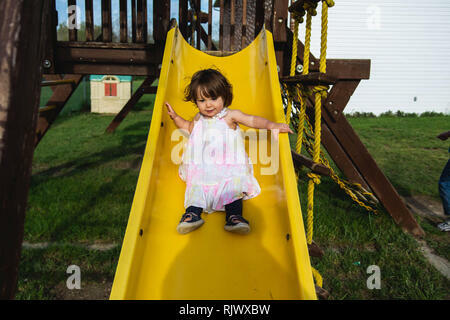 A 2 year old toddler girl slides down a slide at a playground during the summer. 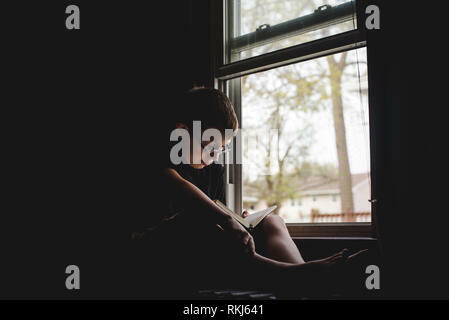 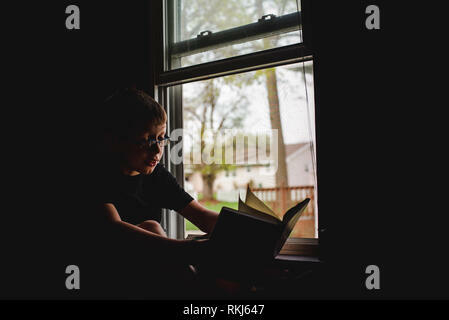 A young boy reads a book in front of a window during the daytime. 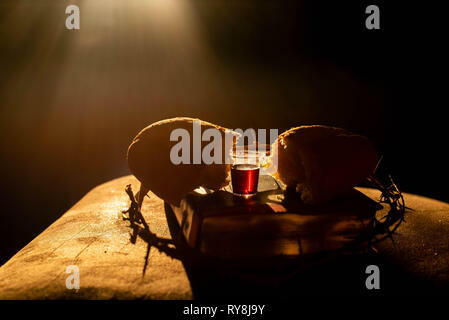 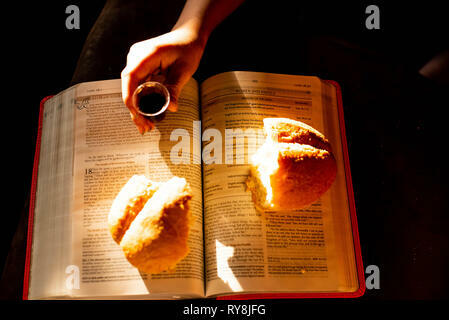 Communion cups and bread represent the last supper of Jesus, a symbolic ceremony by Christians. 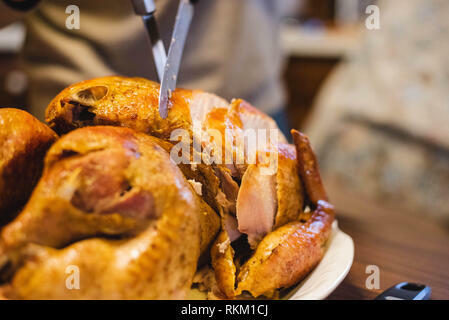 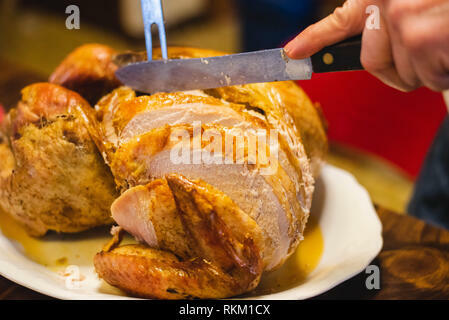 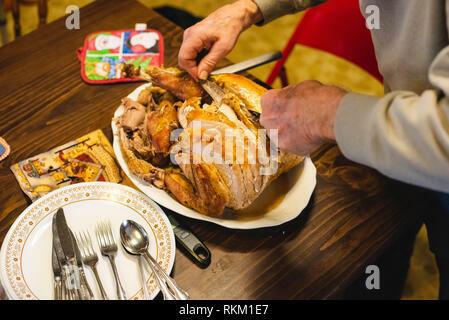 A man cuts up turkey using a large fork and knife. 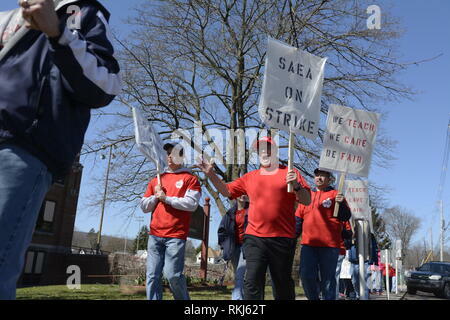 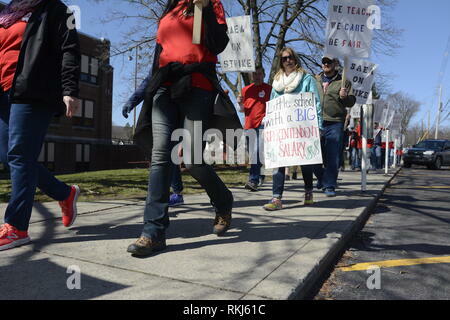 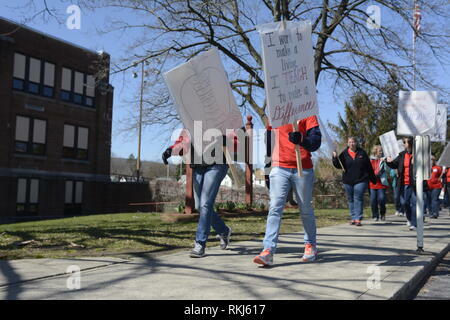 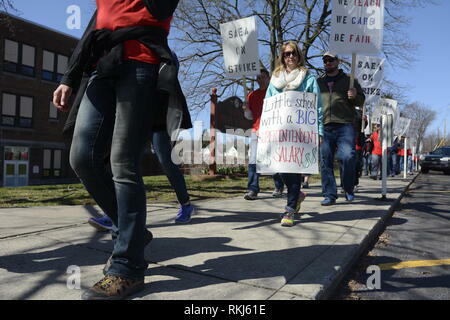 Teachers at a school district in Pennsyvania, United States go on strike to demand higher wages in this 2015 file image. 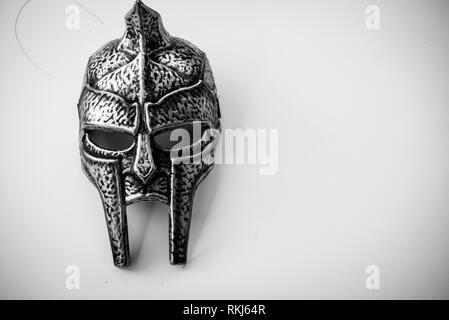 A toy Roman helmet sits on a white background. 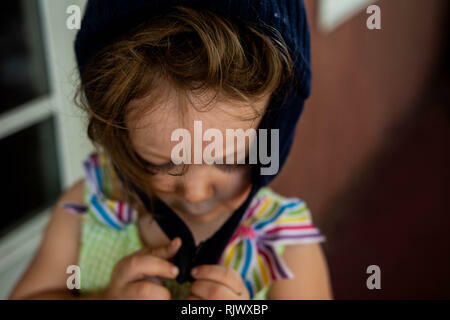 A toddler girl tries to hook her winter hat while standing outside on a warm day. 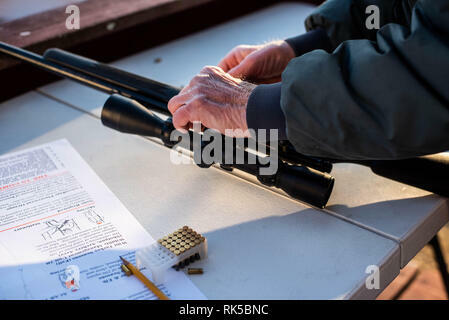 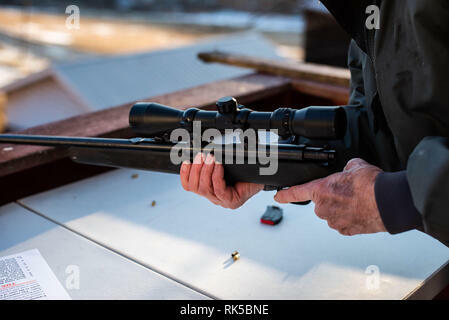 A man holds a 22 caliber rifle with a scope as a hunting gun in the United States. 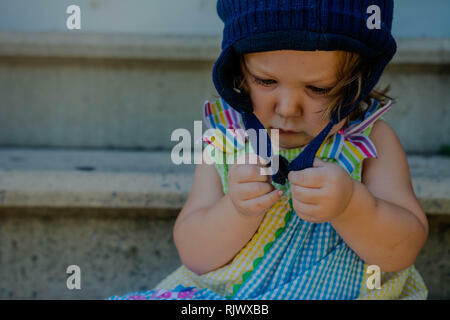 A baby girl looks up at the camera while crying. 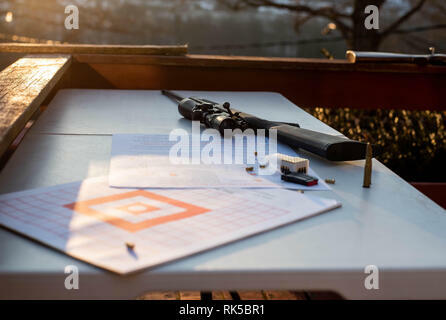 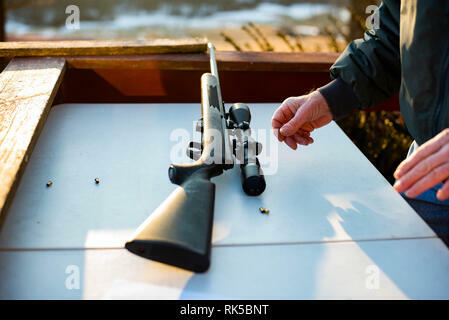 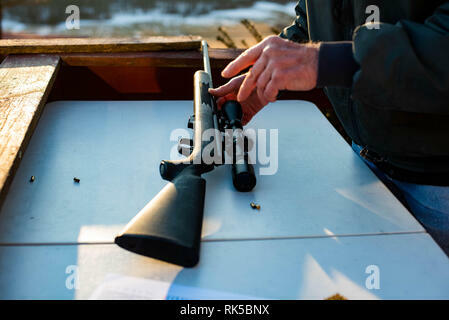 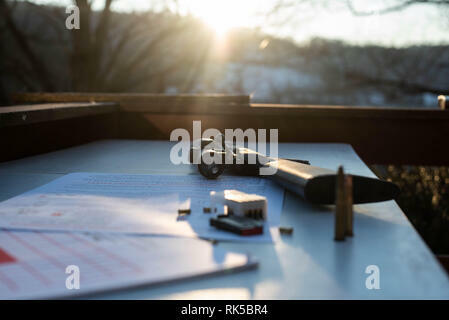 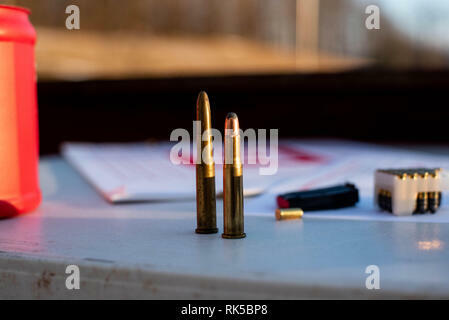 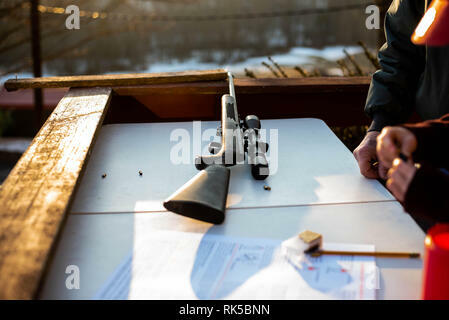 A 22-caliber rifle sits on a table with bullets around it as the sun sets. 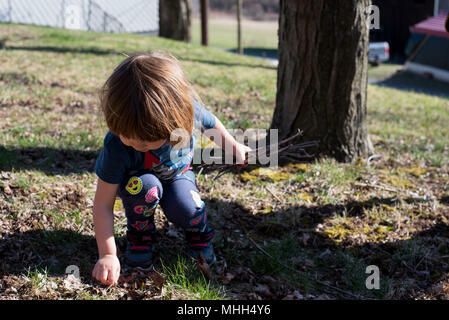 Three-year old girl picking up sticks in a yard on a warm summer day. 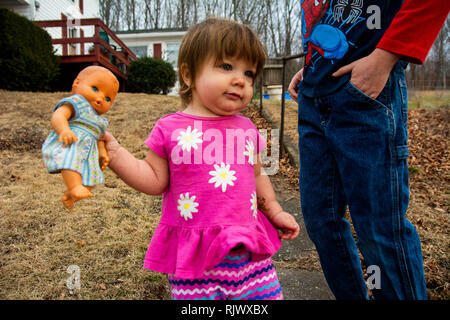 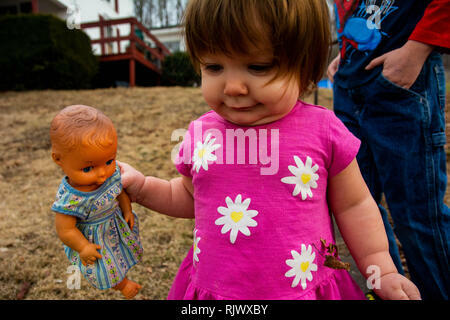 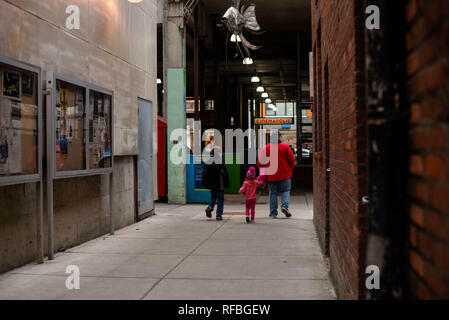 A 15-month old toddler girl walks while holding a doll outside on a summer day. 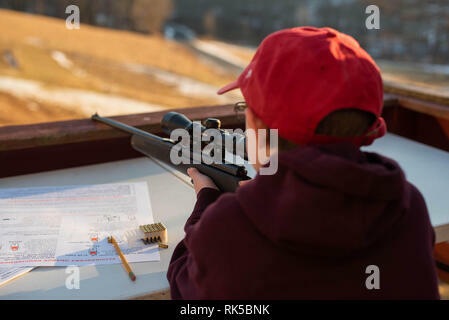 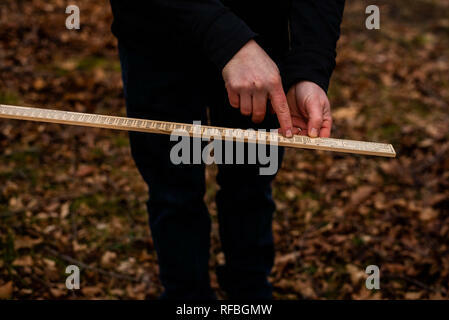 A 12-year old boy holds a 22 caliber rifle during a safety lesson in the United States. 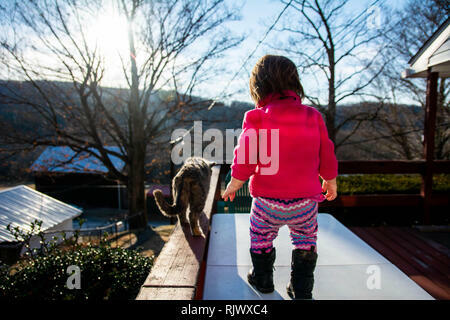 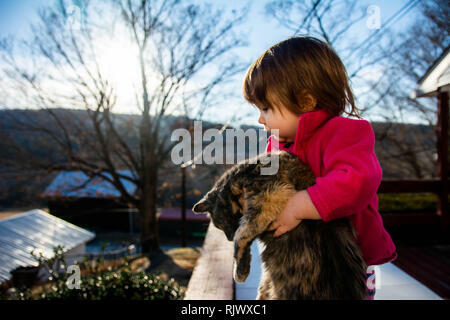 Toddler girl follows a cat while the sun shines on a winter day in Pennsylvania, USA. 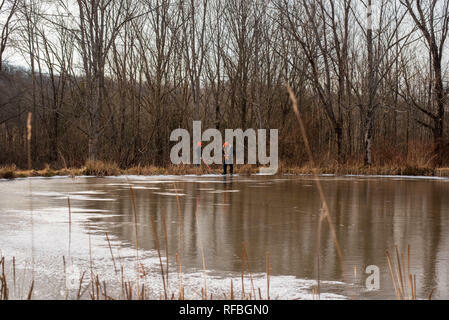 Two people stand next to a frozen pond in winter in Pennsylvania. 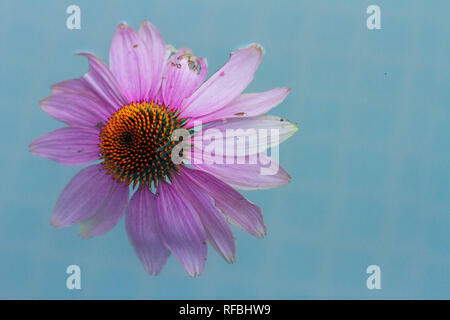 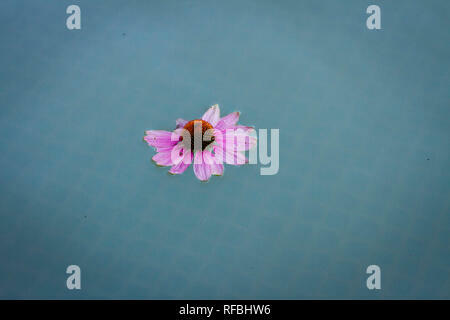 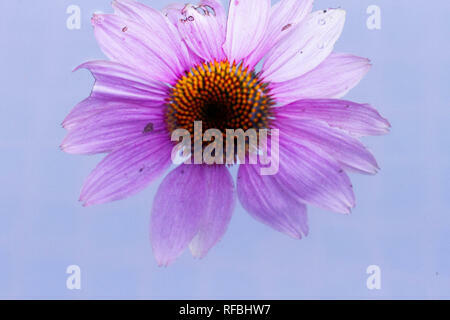 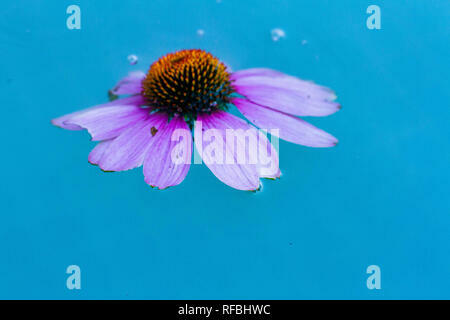 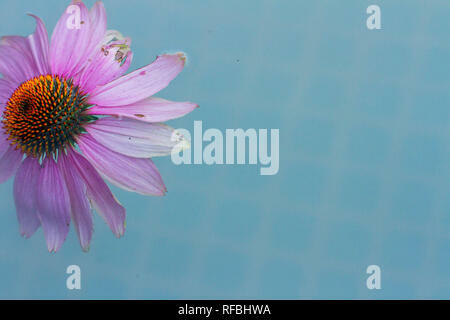 An echinacea purpure, purple wildflower, floats in a blue pool of water. 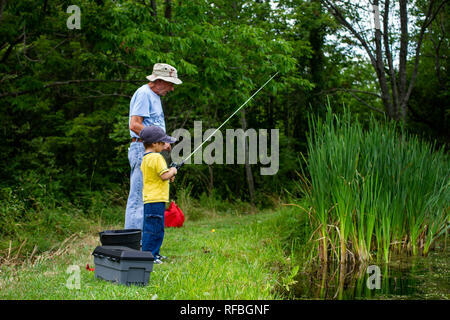 A grandfather and grandson fish next to a pond during the summer. 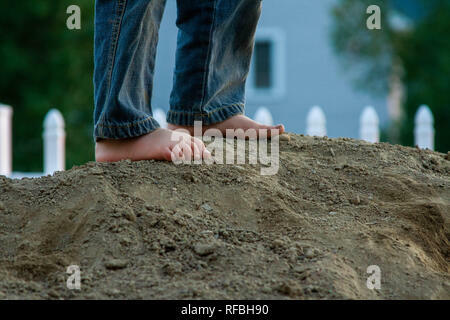 A child stands with bare feet on a pile of dirt. 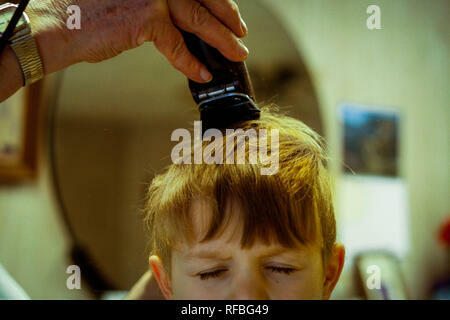 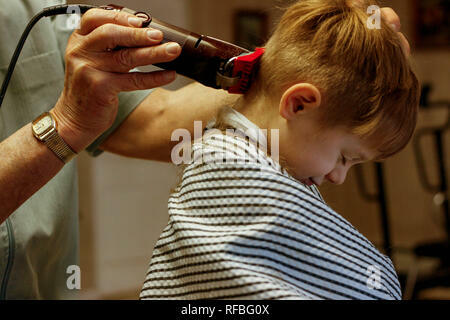 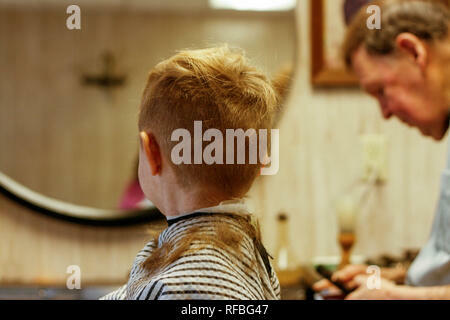 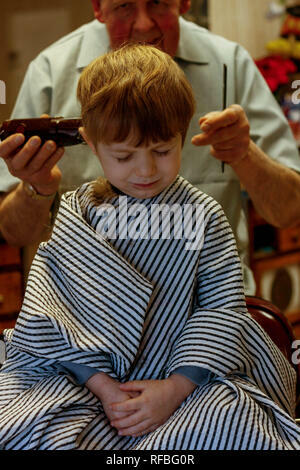 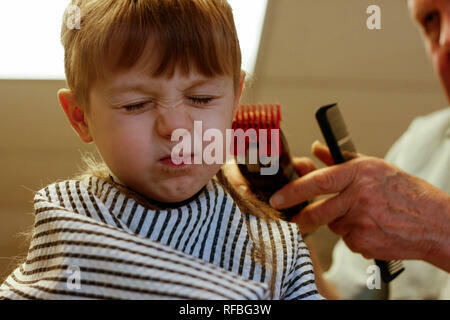 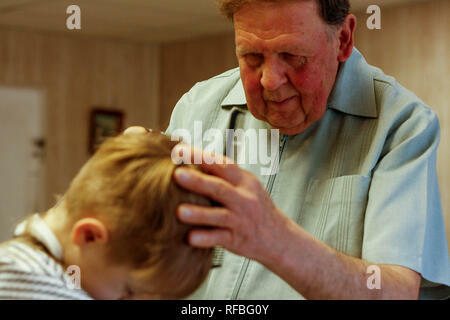 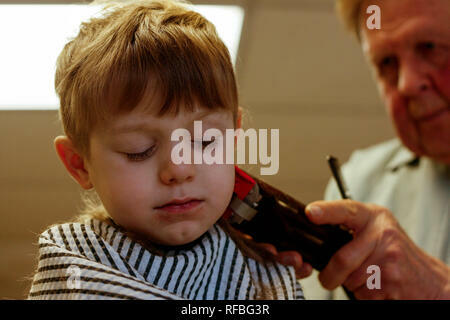 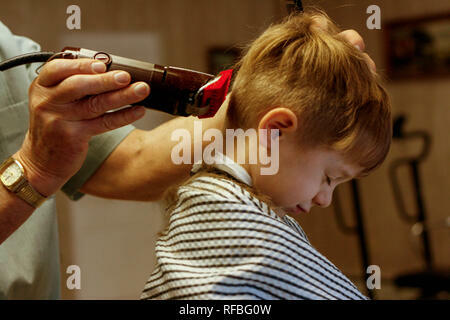 A young boy has his hair cut at a barber shop in a small town. 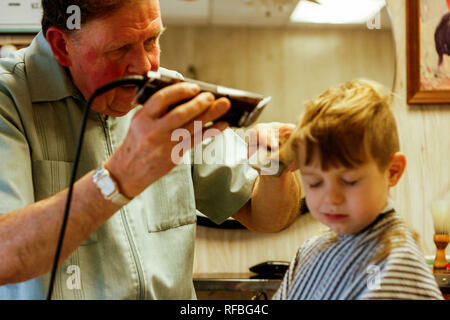 A young boy has his hair cut at a smalltown babershop..